A wonderful islet of joint pillars. 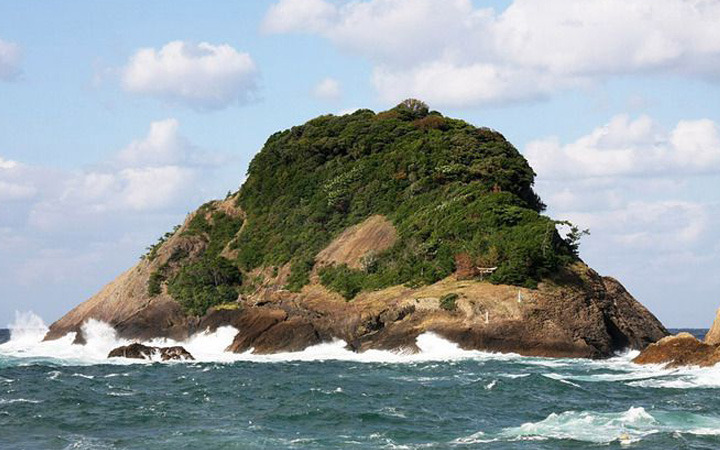 Mio Island is a beautiful, hexagonal shaped island off the coast of Northern Hyogo. 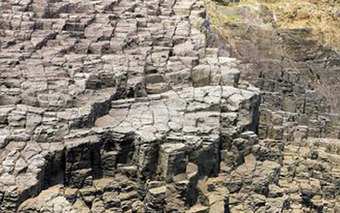 It is a designated natural national monument and part of the San'in Kaigan, UNESCO Global Geopark. 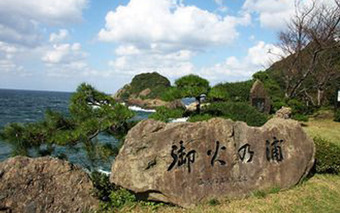 The island is also nicknamed "Awabi Island" because it resembles an awabi, Japanese for abalone shell. A cluster of interesting cave and rock (igneous and sedimentary) formations can be found dotting the 8 kilometer (5 mile) long coastline stretching between Shinonsen and the town of Kami. Such formations as Ryugu Cave, Mio Island, Shitaara Cave, Nokogiri Misaki Cap and much more.